Due to the need for high quality materials at truly competitive costs nowadays, screening machines need to comply with stringent demands. Whether it concerns the food, feed, recycling or pharmaceutical industry, developments progress every year and so do requirements. Materials are being reclaimed and reused, or are subjected to advanced cultivation and production techniques to conserve energy, nature and the natural resources themselves. For that reason the quality requirements for sifting, sieving, screening, and separating materials become more and more significant. 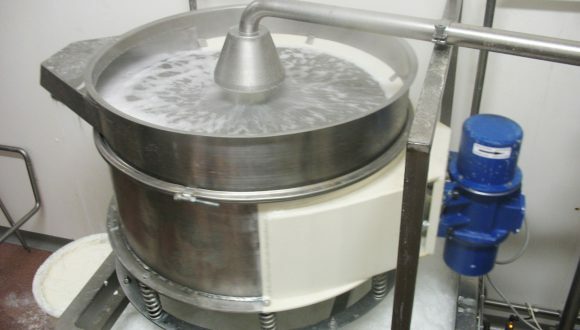 At Heilig Mixers, we keep up with these trends by designing screening machines that meet today’s requirements on the one hand, but especially to listen closely to our clients. If we listen carefully and share our expertise, we can offer a solution that renders an optimal separation, classification, sieving and grading process at high capacity and throughput. Please browse through our range of screening machines. If you would like to discuss one of the options or seek more information for a solution that fits your situation best, do not hesitate to contact us.